Jitters about the turmoil to come from Brexit may have thrown Spain’s traditional parties a lifeline after a six-month political crisis. 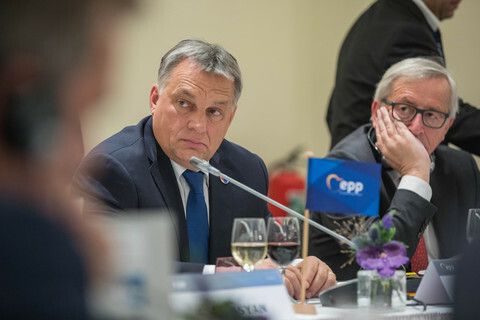 In a general election held on Sunday (26 June) after the four main political parties failed to agree on a government following a first vote in December, the conservative Popular Party (PP) gained 33.0 percent of the vote. The PP increased its number of seats in parliament to 137 from 123 in December. 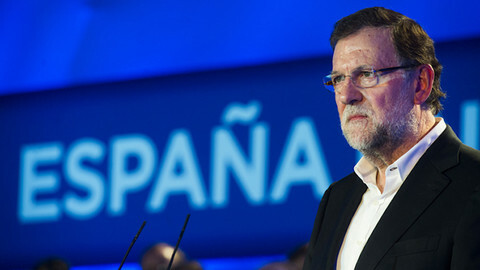 Even if it fell short again of the absolute majority of 176 seats, the result has increased the bargaining power of incumbent prime minister Mariano Rajoy. 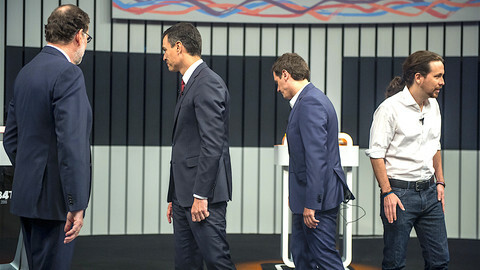 The Socialist Party (PSOE), led by Pedro Sanchez, came second with 22.7 percent of the vote, compared to 22.0 percent previously. It gained 85 seats, five less than it had had. The party defied opinion polls which had forecast that it would be eclipsed by the anti-austerity alliance, Unidos Podemos, the way the Syriza party eclipsed the PASOK party in Greece. 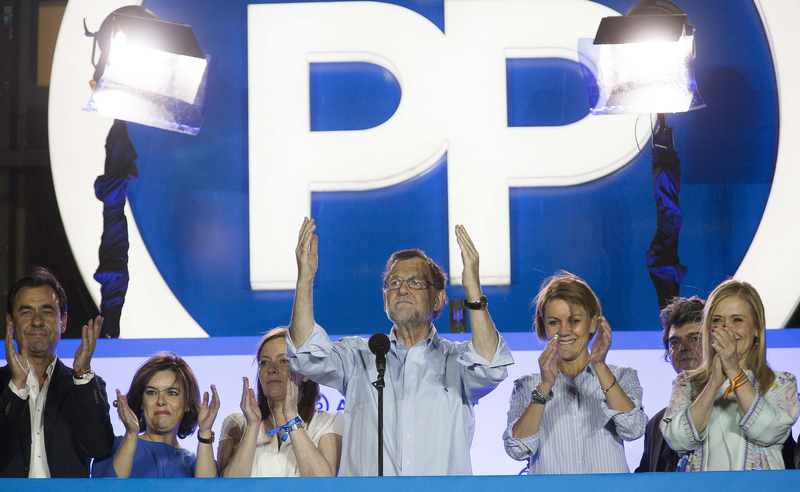 The PP and PSOE - Spain's two traditional parties - likely benefited from the first effects of Brexit, as people stuck with familiar politicians against the more radical newcomers, the anti-austerity Podemos and the centrist Ciudadanos. 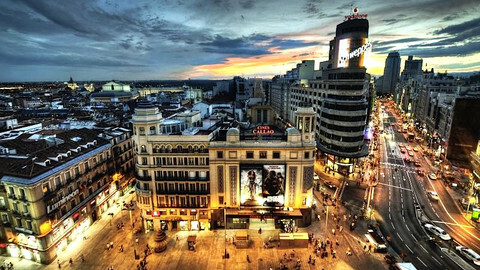 On Friday (24 June), the stock exchange in Spain plunged a record 12 percent and Rajoy warned voters against the ”uncertainty" represented by the two new parties. 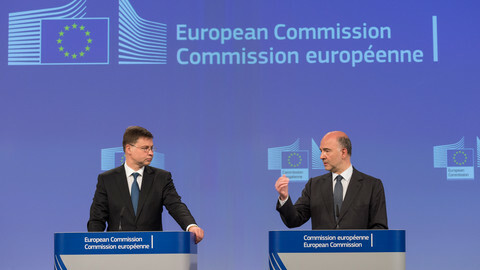 The PSOE also described the result of the British EU referendum as being a consequence of “populism”. Podemos - which allied with far-left Izquierda Unida (United Left) in the election - lost more than 1 million votes compared to December. Their Unidos Podemos pair obtained the same combined number of seats at 71. 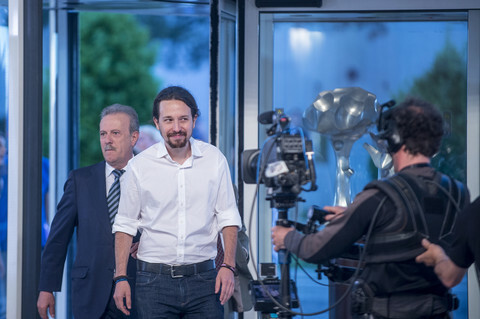 The result dashed the hopes of supporters hoping to make pony-tailed politics lecturer Pablo Iglesias prime minister. Centrist party Ciudadanos, which gained 40 seats in December in its first national election, lost 5 seats, probably as voters switched back to the PP. The results mean all four main parties remain in the same position, potentially kicking off protracted negotiations to form coalitions. 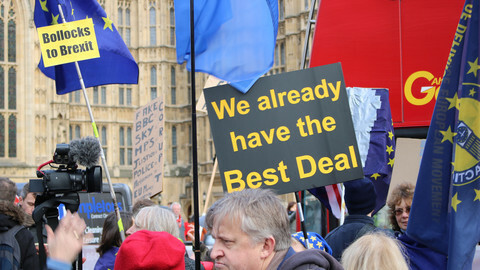 However, some analysts think the strengthened hand of Rajoy and the uncertainty unleashed by Britain voting to leave the EU could concentrate the minds of the parties. If the PP can persuade pro-business Ciudadanos to join it in a coalition, the two would have 169 seats, while the combined Socialists and Unidos Podemos have 156. Both would still be short of an absolute majority. 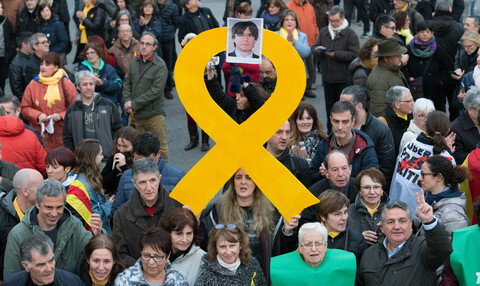 “We won them [the elections] and we demand the right to govern and to be useful to Spaniards”, Rajoy told a crowd of supporters outside his party’s headquarters in Madrid, who cheered him as “prime minister”. The failure of Podemos to overtake the PSOE also gave it the upper hand in bargaining. The Socialists fought the election campaign saying they would not allow either Rajoy to continue as prime minister or Iglesias to succeed him. 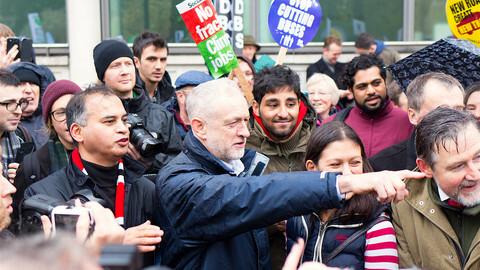 Sunday’s numbers may give the party more potential to manoeuvre for a Socialist-led government. Leadership crises have gripped both of the UK's main parties following the referendum result in favour of leaving the EU.